Naoshima, commonly known as Japan’s art island, is a tiny island in the Seto Inland Sea, and one of our absolute favorite places in Japan. Until the early 1990s, Naoshima was a remote and sleepy island, but — thanks in large part to an art-loving Japanese businessman’s vision — it has gradually become one of the world’s most unique destinations for art lovers and travelers seeking one-of-a-kind experiences. The island was included in National Geographic’s 19 Places to Indulge Yourself, featuring tips from Boutique Japan founder Andres Zuleta! While usually missed by first-time visitors to Japan, Naoshima is just a short ferry ride from Japan’s main island of Honshu, and has an atmosphere like nowhere else. In addition to its tiny traditional fishing villages, Miyanoura and Honmura, you’ll find stunning architecture by Tadao Ando, museums, colorful galleries and installations, and charming cafes – all in a laid-back atmosphere amid beautiful scenery. Originally written in the summer of 2014, we’ve significantly updated and added to the original article. Traveling to Naoshima is relatively easy. Take the shinkansen (bullet train) — from, for example, Tokyo, Kyoto or Osaka — to the city of Okayama, home of the famous Korakuen Garden. From Okayama, head south by local train (or, better yet, private vehicle) to the small port town of Uno about one hour away. Finally, from Uno it’s a short 20-minute journey by ferry to Naoshima’s Miyanoura Port. Guests of Benesse House can then hop in the hotel shuttle to check in, or begin seeing art. 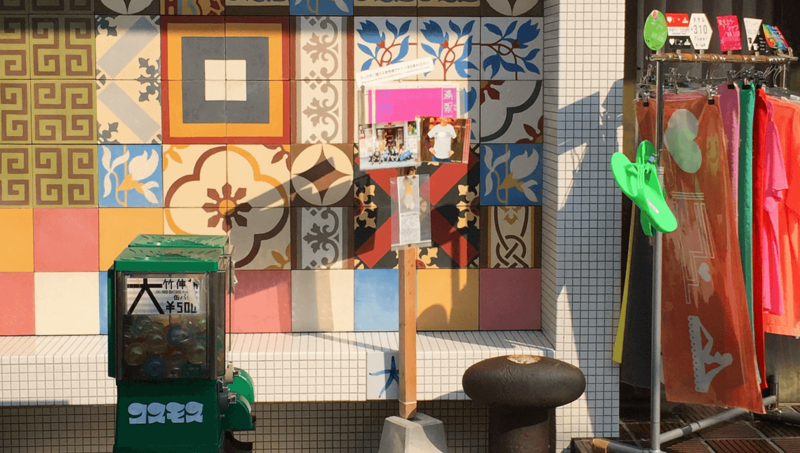 More on getting to Naoshima, and the Uno-Naoshima ferry schedule. Benesse House guests have access to the convenient hotel shuttle, which does a loop of the island’s main art sites. Non-guests can use the island’s local buses (less frequent but easy to use). Naoshima is also bicycle friendly (we recommend renting an electric bicycle to navigate the island’s hills). Read more about getting around Naoshima. Before planning your trip, make sure to consult the Benesse Art Site Calendar. On Naoshima island itself, most exhibits are usually closed on Mondays. However, during holidays (for example, over 3-day weekends), most exhibits remain open on Monday and close on Tuesday instead. On the neighboring art islands of Teshima and Inujima, most exhibits are usually closed on Tuesdays. As for how long to stay, while visiting Naoshima as a day trip is possible, it would be quite rushed – so we typically recommend spending at least one or two nights on the island. 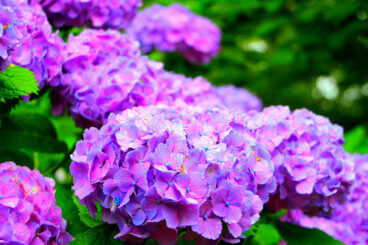 Read about the seasons and when to visit Japan. Naoshima’s most unique and coveted accommodation option is Benesse House. Overlooking the Seto Inland Sea, Benesse House (which was designed by renowned architect Tadao Ando) doubles as both a museum and boutique art hotel. Benesse House guests have special early-morning and late-night access to the museum, and the hotel also has a spa, two restaurants (Japanese and French), and a very convenient shuttle to Naoshima’s art sites. Apart from Benesse House, Naoshima is home primarily to budget-oriented accommodations, such as traditional minshuku (Japanese guesthouses), as well as yurts. Below are some of Naoshima’s many highlights. The tiny fishing village of Honmura, on the eastern edge of Naoshima, is home to the Art House Project, a collection of abandoned houses and workshops (as well as a temple and a shrine), that have been converted into venues and art installations by artists from Japan and around the world. The Art Houses are scattered throughout the village, within walking distance of one another. Intersperse your visits with a coffee break or lunch at one of the handful of charming cafes run by a mix of locals and transplants from cities like Tokyo and Osaka. For many (myself included), Naoshima’s highlight is Tadao Ando’s stunning Chichu Art Museum. Much of the building is underground, and Ando designed it to let in an abundance of natural light that alters the appearance of the artwork it houses throughout the day. After also visiting the nearby Lee Ufan Museum, make your way to what is arguably the island’s centerpiece, Benesse House. Introduced above, Benesse House is a museum-hotel that is home to works by Hiroshi Sugimoto, Gerhard Richter, Shinro Ohtake, Richard Long, David Hockney, and many more. 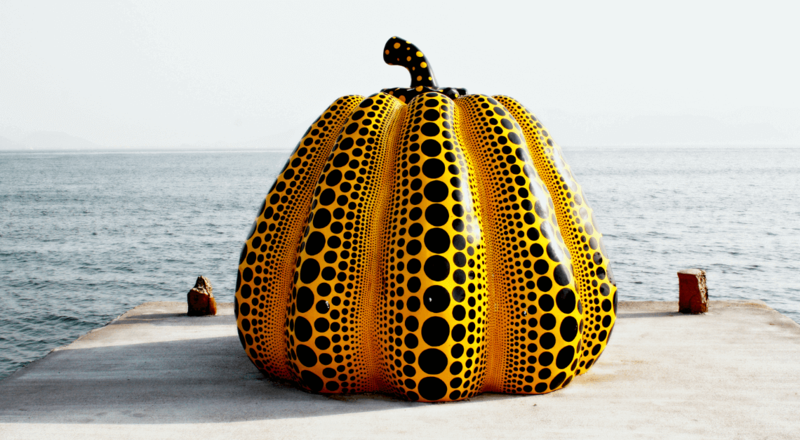 Another site not to be missed is Japanese artist Yayoi Kusama’s famous “Kabocha” (Pumpkin) sculpture, located a short walk from Benesse House’s Park building. Time and energy permitting, a fitting way to end the day is with a soak at Naoshima’s kitschy and wonderful Naoshima sento (bathhouse), “I♥YU” (yu means hot water, or bath, in Japanese). The colorful bathhouse was designed by Shinro Ohtake, and a soak here is a truly unique way to immerse yourself in art – and Japanese culture. You may need to bring your own towel and soap (sometimes available for purchase at the bathhouse front desk). If your schedule allows, we highly recommend making a side trip by ferry to one or more of Naoshima’s neighboring art islands. Teshima and Inujima — which, along with Naoshima, form part of the greater Benesse Art Site Naoshima — are hidden gems that almost make Naoshima feel fast-paced. Reaching them requires some extra effort, although during the Setouchi Triennale inter-island ferry frequency is increased. The laid-back island of Teshima is located about thirty minutes by ferry from Naoshima. At the heart of the island is the incredible Teshima Art Museum, an awe-inspiring structure shaped like a drop of water by architect Ryue Nishizawa and artist Rei Naito. 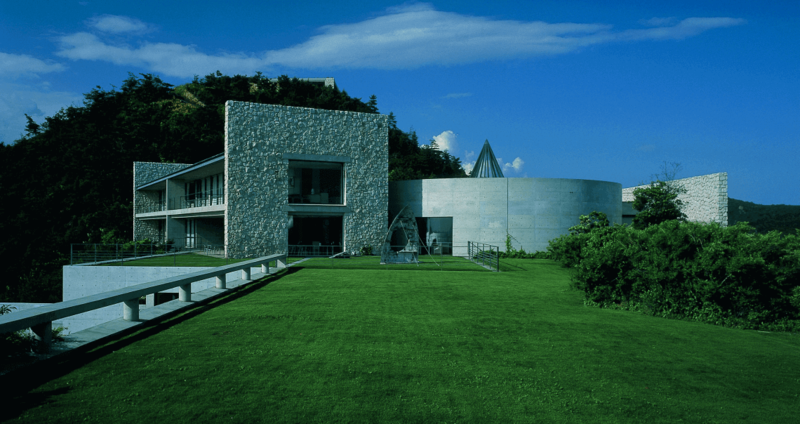 The Teshima Art Museum itself is reason alone to visit, but the island is also home to several other highlights, including Christian Boltanski’s “Les Archives du Cœur” and the Teshima Yokoo House. Getting to and around Teshima is not always easy. Ferries to and from the island are somewhat limited (access to Teshima), and the Teshima Shuttle Bus also has a limited schedule (not to mention requiring a fairly significant amount of walking). Electric bicycles and scooters can be a good option for navigating the hilly island. Where possible, advance rental is advisable. Benesse Art Site provides the most up-to-date information on works, schedules, and getting to and around Teshima. The small island of Inujima is located about forty minutes by ferry from Naoshima, or just ten minutes by ferry from the mainland port of Hoden. This little-visited art island is home to the Seirensho Art Museum, its very own “Art House Project,” and the Seaside Inujima Gallery. Once on Inujima, you can simply get around on foot. 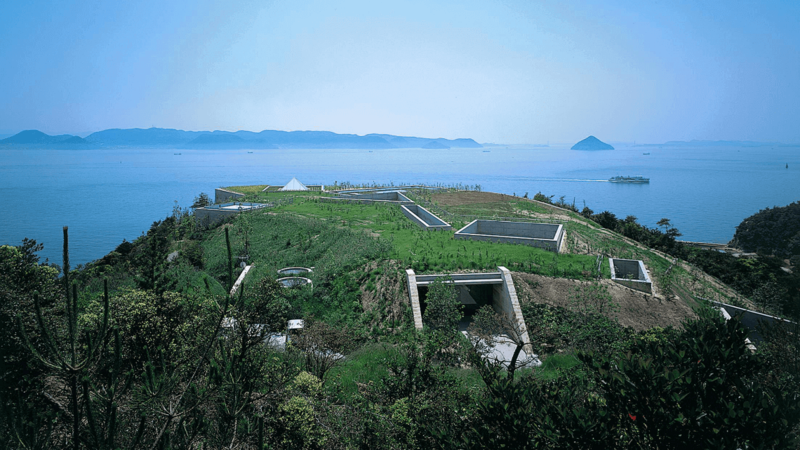 Enjoy your visit to Naoshima and Benesse Art Site, and make sure to also see our post on Japan’s best art destinations!